Horus Pay is a decentralised Global Payroll Portal that allows companies to exchange private encrypted secured data with international payroll vendors using the Blockchain. Horus Pay aims at saving companies money through their international payroll system buy cutting out fees of existing payroll vendors. ECASH is the payment currency for the network. 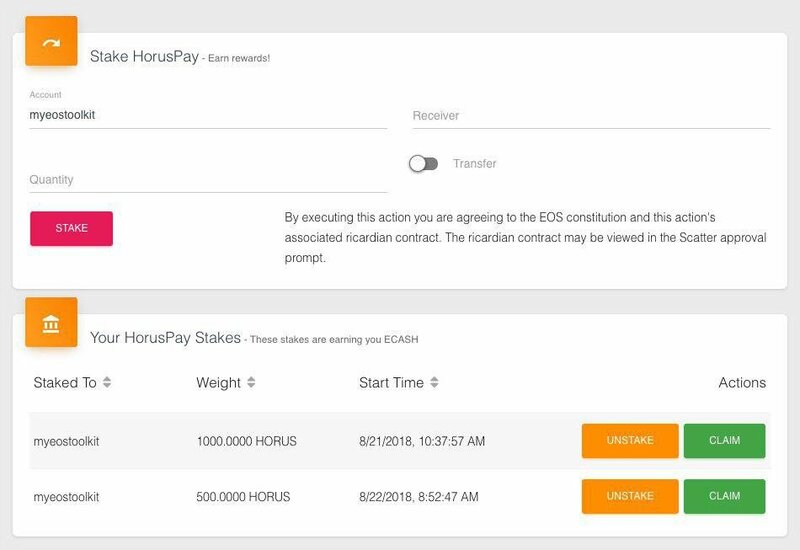 At the moment, HorusPay also allows holders of HORUS to stake their tokens and earn EOS CASH (ECASH) tokens in return. Navigate to the Horus Pay tab on the left hand side of the toolkit. Select the quantity you would like to stake (this will be the amount of Horus Pay you wish to receive the ECASH rewards for). 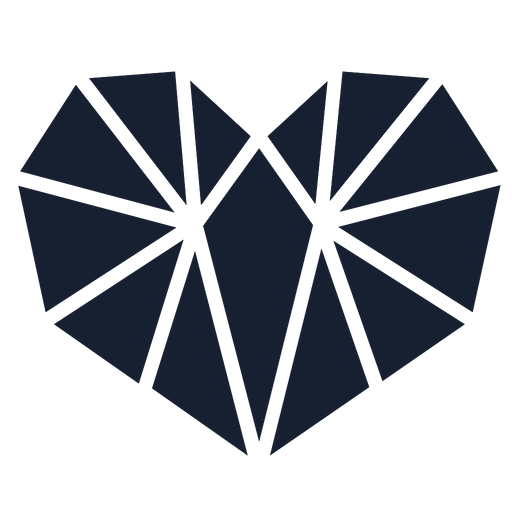 Once you have staked HorusPay tokens you will have the options to unstake and Claim or staked for ECASH (the minimum amount for staking is 10 HorusPay tokens). Please Note: The unstaking process will take 7 days. I made unstaking process 1 ocfober . Now 15 oct . And i steel not get them .